HVAC Contractors in Mandan, ND | Advanced Mechanical | Advanced Mechanical, Inc. Since 1980, Advanced Mechanical, Inc. has been providing comfort for homes and businesses in the Mandan area. 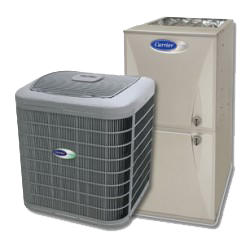 We are the "Premier" Heating and Air Conditioning Provider for this area. Our commitment to customer satisfaction extends to all aspects of HVAC services including equipment installation and replacement, repairs, maintenance and emergency services. Our experienced technicians provide a personal touch to HVAC installations, maintenance and repair. Advanced Mechanical, Inc. offers routine maintenance and annual tune-ups to ensure your system continues to run properly.